Mumbai: The Reserve Bank of India (RBI) is preparing a list of recommendations to be sent to the Union government seeking amendments to RBI Pension Regulations, said two people aware of the development. While RBI retirees used to receive pension in line with central government employees, the scheme was withdrawn by the government in 2008. The unions of the central bank had recently called for a mass casual leave protest, which was withdrawn after a letter from the government to RBI asking for recommendations on changes required. One of the persons cited above said the central bank will recommend the inclusion of a clause in the pension regulations that allows RBI pensioners to receive updated pensions at par with government retirees. “Apart from the updation clause, RBI will also have to specify at what intervals the pension should be updated,” the person said. An email sent to RBI remained unanswered till press time. On 8 August, before the RBI’s central board meeting, the unions submitted a representation to the members of the board. Following the meeting, Urjit Patel, governor, RBI, wrote to the finance ministry on 9 August requesting resolution of pension-related issues. On 31 August, the finance ministry responded that RBI should send proposals for changes in RBI Pension Regulations. The union said in a statement on 3 September that the government’s letter is a departure from the past when in its letter of 24 February it negated their demand on grounds of “expenses and contagion effect”. According to another statement from the RBI union on 28 August, as central government improved pension periodically with every pay revision through pay commissions, the RBI pension was brought in alignment with the pay scale of 1997-2002 covering pensioners up to October 2002. It said that while central government pensions are borne by the exchequer, RBI pensions come from its pension corpus fund, which now stands at ₹16,000 crore. 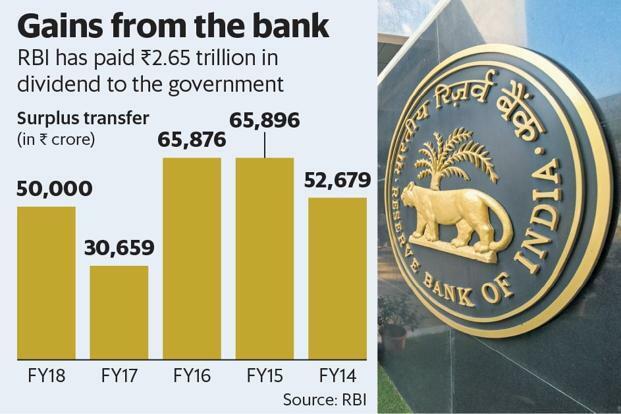 It is to be noted that the RBI has paid ₹2.65 trillion in dividend to the government in the last five financial years FY2014-18. Meanwhile, in a report on 4 August, the Committee on Subordinate Legislation of the 16th Lok Sabha said the autonomy and independence of RBI is imperative and integral part of any central bank of a nation which should not be compromised at any cost, especially, in matters relating to the service conditions of the employees like recruitment, pay and pension. The central bank had notified RBI Pension Regulations in 1990, laying down the eligibility criteria and general conditions pertaining to pension of RBI employees after their retirement. Prior to that, the retirement benefit available to RBI employees were through the Central Provident Fund (CPF). This pension scheme of 1990 was made applicable to all the employees of the RBI including those who were in the service of RBI as on 1 January, 1986 but retired later on with the condition that they had to surrender their CPF payment along with 6% interest. Also all such employees joining the bank after 1 November, 1990 were to be governed by the RBI Pension Regulations only, as the scheme of CPF was not to be made applicable to them. At the same time, the existing employees of RBI were given the option to continue under the earlier CPF Scheme instead of the RBI Pension Scheme of 1990.